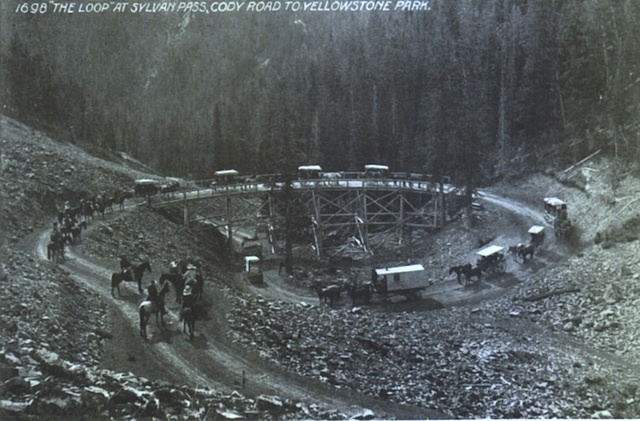 "I entered the Yellowstone Park at the Cody East Entrance and drove up over Sylvan Pass which has an altitude of 8,500 ft. The grades were so steep that my motor could hardly pull in low gears. A Ford car has to have 6 1/2 gallons of gas as it won't run to the carburetor.."